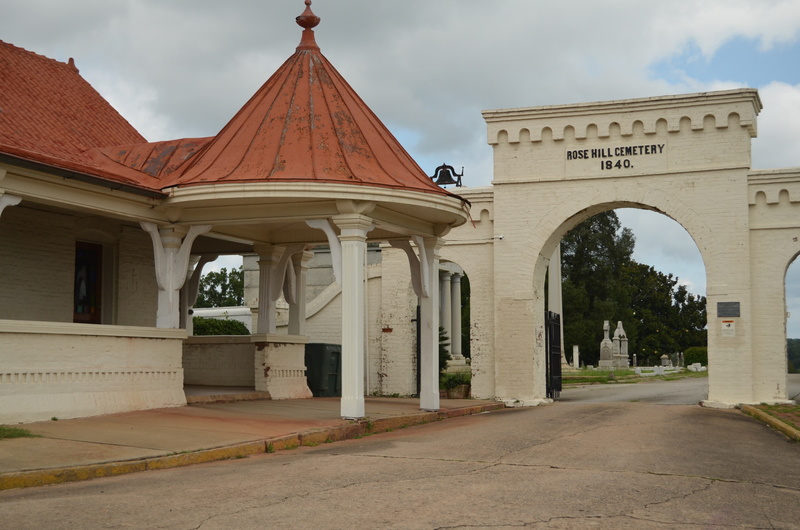 The next time you decide to head out on a road trip, consider stopping at an historical cemetery. 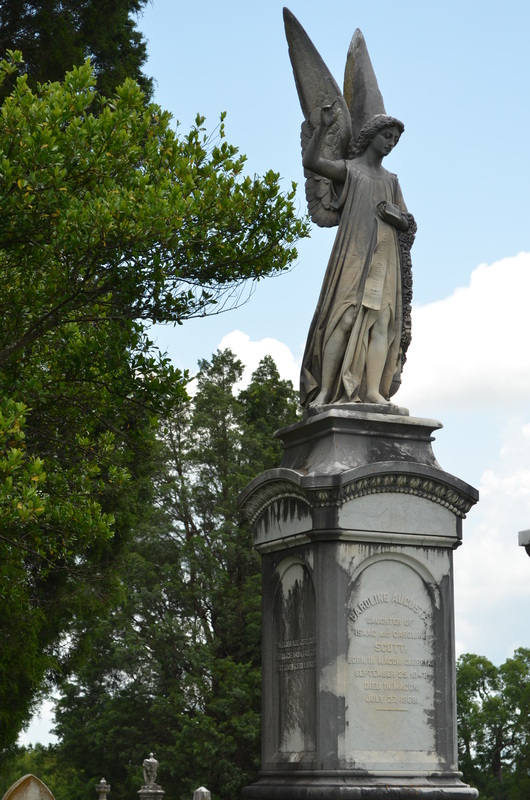 This is how my husband and I ended up at Rose Hill Cemetery, in Macon, Georgia. We were just out rambling around and decided to stop downtown at the Visitor’s Center, on Martin Luther King, Jr. Blvd, to pick up a few tips on various sites the city has to offer. We’ve lived in this area for 25 years, but the urge to explore the ins and outs of the city have just recently become an interest for us. Nancy, over at Just a Backpack and a Rollie inspired me to take a closer look at the events and places that make up my home state, and what better place to start than the resting place for those who influenced our history. 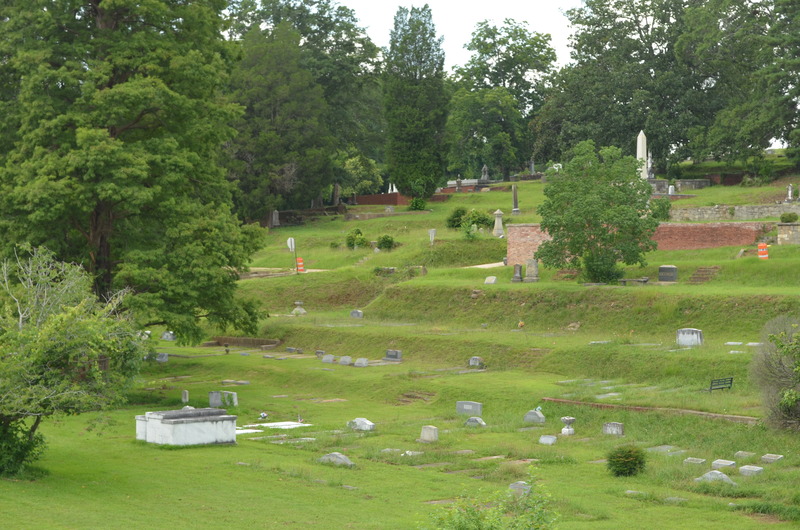 I’ve heard about this cemetery in Macon ever since we moved here in 1989. It’s claim to fame is the brother of rocker, Gregg Allman, buried there after a motorcycle crash took his life at age 24, in 1971. 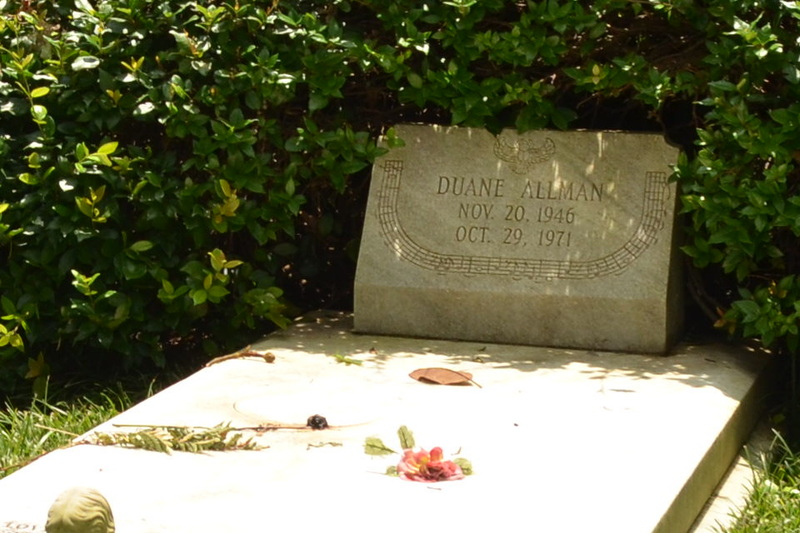 You can learn more about the Allman Brothers Band here. 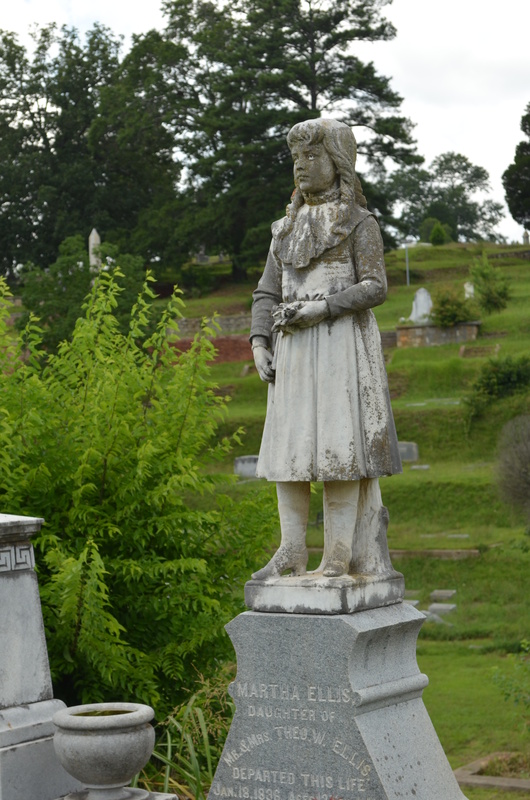 The beautifully landscaped rolling hills, unique monuments, and unusual grave markers make a visit to the cemetery informative and entertaining. 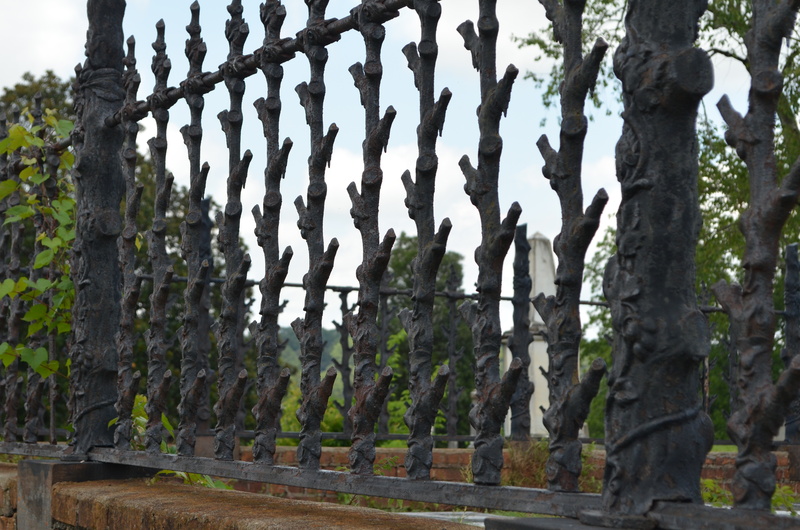 Among the thousands buried here are Confederate soldiers, prominent politicians, influential entertainers, and everyday citizens that made Macon their home. 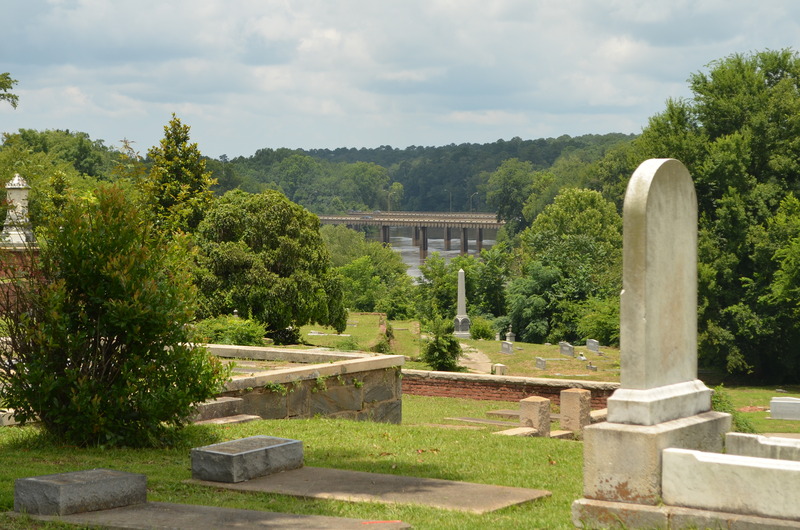 We spent most of the afternoon reading grave markers and marveling at the views and landscaped terraces. This is one place I will return to for another look.